New Orleans An op-ed was published in the New York Times about the $10 million people who owe $50 billion in debt from their experience in the criminal injustice system written by Danielle Lang and Thea Sebastian who are civil rights attorneys connected to the Civil Rights Corps and the Campaign Legal Center respectively. It is so shocking and timely, that I want to bring it to you pretty much whole. As Election Day approaches, triggering feverish drives to turn out new voters, over six million people will be denied the right to register and cast a ballot this November. That’s almost 3 percent of the United States’ adult population. Regardless of the stated goal of this policy, the effects are clear: Wealthy people can pay these fees and vote immediately, while poor people could spend the rest of their lives in a cycle of debt that denies them the ability to cast a ballot. You may be wondering: Where do these fees come from? The answer is that the criminal system charges individuals for almost everything. In every state but Hawaii and the District of Columbia, there are charges for the “privilege” of wearing an ankle monitor. In 44 states, there are charges for probation and parole supervision. In 43 states and the District of Columbia, there are charges for public defenders — even though our Constitution guarantees both counsel and criminal trials. In 41 states, people are charged for “room and board.” And the list goes on. In Ohio, all told, there are 118 different fees and surcharges. By the time people re-enter society, they often owe thousands in debt. Nationally, about 10 million people owe over $50 billion in debt associated with the criminal justice system. Worse, this money is generally being demanded from people who are unlikely to be able to pay it. A Brookings paper that linked data from the entire prison population to earnings records over a 16-year period showed, at best, only about half of those recently released are able to find work at all — and even when they do get a job, many earn an income well below the poverty line. 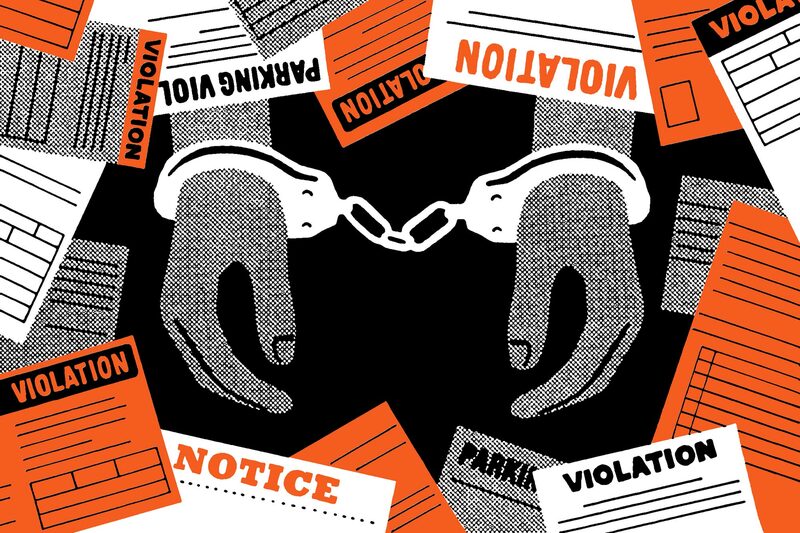 The combination of employment discrimination, license suspension, housing restrictions and other barriers to economic stability makes re-entry into society — and the ability to earn enough to pay off court debt — nearly impossible. When citizens are denied a fundamental right based solely on wealth, a bedrock principle of our Constitution — that our government cannot deny poor people basic rights in our society simply because they are poor — is violated. Lawyers from Civil Rights Corps have used this argument in dozens of cases, arguing against practices that include wealth-based detention, driver’s license suspension over unpaid debts, and the extension of probation terms when people can’t afford drug testing and supervision fees. In the seven states that explicitly hinge voting rights restoration on debt repayment, legislators should remove those provisions from the law. We must end the practice that allows states to link voting rights to debt repayment and completion of probation or parole. And, until they do advance those reforms, governors should use clemency power to ensure that those barred from restoring voting rights solely because of unpaid debt can vote immediately. We won’t have full democracy unless every voice is heard at the ballot box. This entry was posted in Ideas and Issues and tagged criminal fines, debt, fines and fees, poverty, voting by Wade. Bookmark the permalink.